We had a really lovely weekend. Saturday we went to the Metropolitan Museum of Art and decided it would be fun to do an audio tour. Of course you can select which pieces you want to hear about so we chose some Japanese katanas, plus painters and sculptors: Modigliani, Picasso, Matisse, Boccioni, Balthus etc. We especially enjoyed the special photography exhibit of Robert Frank’s fiftieth anniversary publication of The Americans, his influential suite of black-and-white photographs made on a cross-country road trip in 1955–56. The Americans became his seminal work, initially published in France in 1958 and later in America. 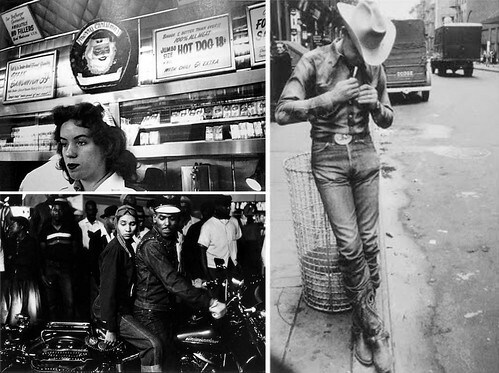 “Although Frank’s depiction of American life was criticized when the book was released in the U.S. in 1959, it soon became recognized as a masterpiece of street photography.” The photographs were noted for their view of high and low parts of American society creating a complex portrait of the post-war period that was viewed as skeptical of contemporary values and evocative of widespread loneliness. awwww thanks so much Karen.